Seven books translated into French. The Chinese writer Su Tong is a favorite of the public who remembers the bright colors, the gorgeous scenery, the beauty of the actress Gong Li and the cruelty of the scenario of the film “Raise the Red Lantern” (1991 ), adapted from one of his novels. Originally published on Rue89, 10/05/2008. 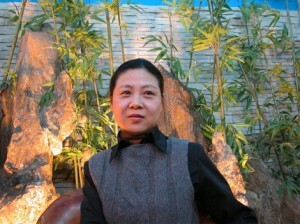 Eight novels by Chinese novelist Chi Li have been translated into French. The last and one of the most uncommon, “Wild grass around wheat” is published this week. A good writer; for ten years, several translators and one publisher have struggled to make her popular with French readers. It is a lengthy process that should be welcomed because, in English, not a line is translated. The release of the French translation of the book of Chinese writer Ma Jian, “Beijing Coma” is a real event, an important book on the tragedy of Tiananmen Square in Beijing in 1989. « Brothers » by Yu Hua, from Cultural Revolution to modern capitalism. “Brothers,” the book by the famous Chinese writer Yu Hua, who enjoyed considerable success in China, has been translated in France. 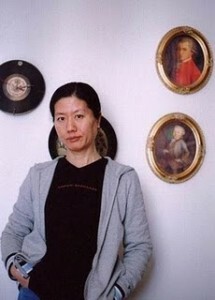 On this occasion, Yu Hua is in Paris; Rue89 could ask him some questions with the help of Isabelle Rabut, translator of the novel and professor at the “INALCO”. Straits Chinese, two writers of great talent. The “Straits Chinese” are born in Malaysia and Singapore with families who have migrated in successive moves since the 15th century from the southern provinces of China, mainly from Fujian. The families of our two authors are more recent immigrants who have not benefited from the Malay cultural mix. The Chinese writer Xinran and prejudices against girls. When a poor Chinese peasant is unfortunate with six girls (“chopsticks”, fragile and of little use to their family), he will regret all his life not to have a “beam”, a boy that can support the family roof. 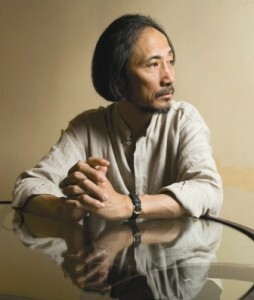 Chinese writer Xinran, shows that the rapid changes in China may upset traditional ideas. “Wuxia” novels: fairy tales for adults. Shrug of shoulders, condescending looks, these are the reactions that may create the mention of Chinese martial arts novels.The release two months ago one of masterpieces of the genre, “Tiger and Dragon” by Wang Dulu in the elegant translation of Solange Cruveillé leads to a more subtile evaluation.